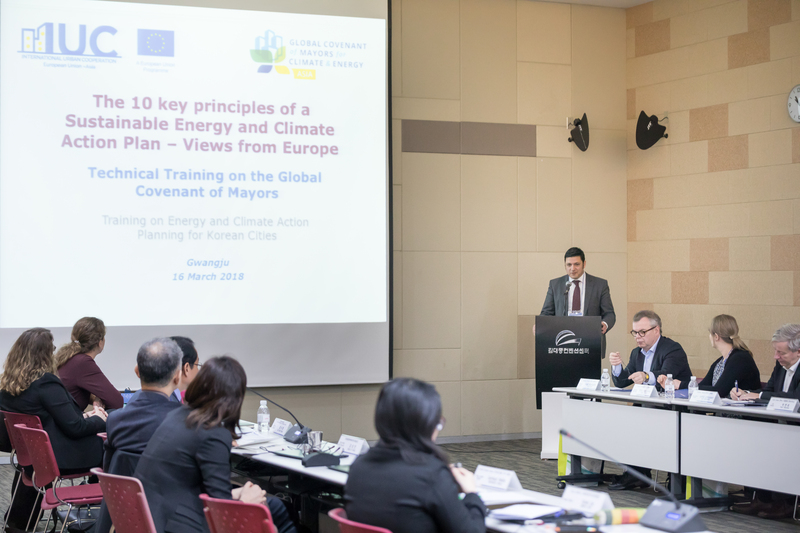 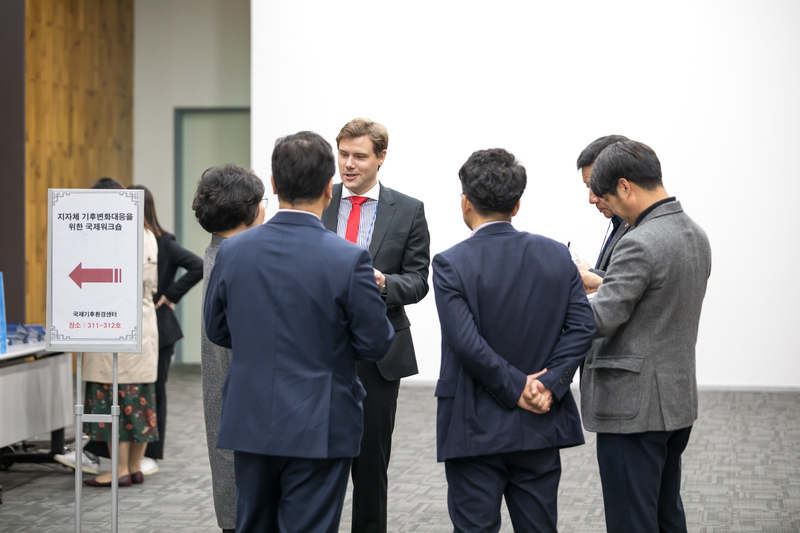 The IUC ASIA organised the training event City Energy and Climate Action – How to set Targets and Develop a Plan with the International Climate and Environment Center in Gwangju, Korea, on 16 March 2018. The workshop was hosted by the city of Gwangju and supported by the International Climate & Environment Center (ICEC), Urban Environmental Accords (UEA), Korea Environment Institute (KEI), Local Sustainability Alliance of Korea, ICLEI, UCLG ASPAC, GCF and CityNet. The event was particularly geared towards the needs of Korean cities. 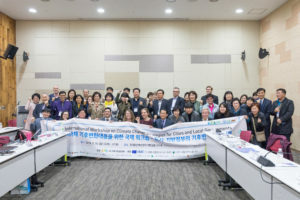 Valuable contribution frm the EU cities perspective was brought by the City of Tampere (Finland), a parter of Gwangju in the World Cities Project. 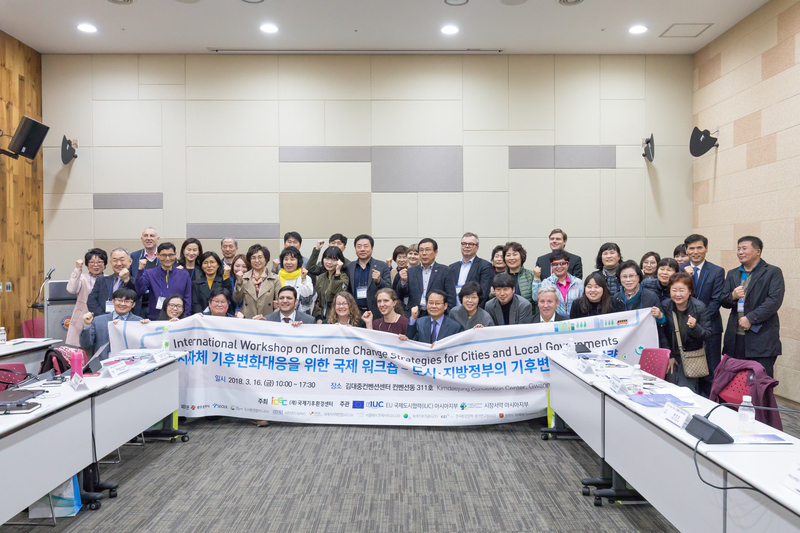 Both cities took an active role in the workshop and shared their experience on climate action. A wide range of actors were present to emphasize the importance of voluntary reporting of climate action and political will of city governments. 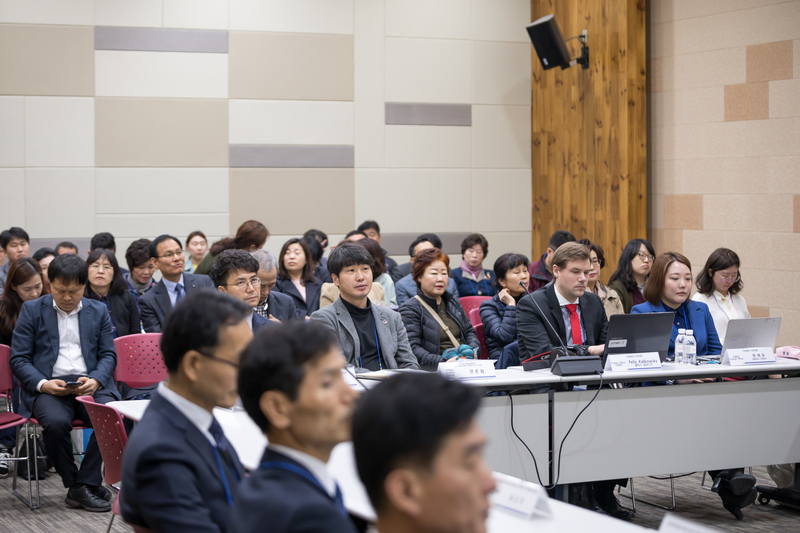 The training provided an opportunity to discuss topics such as tools to measure greenhouse gas emissions (GHG inventories) and key factors to successfully implement strategies for climate change response. 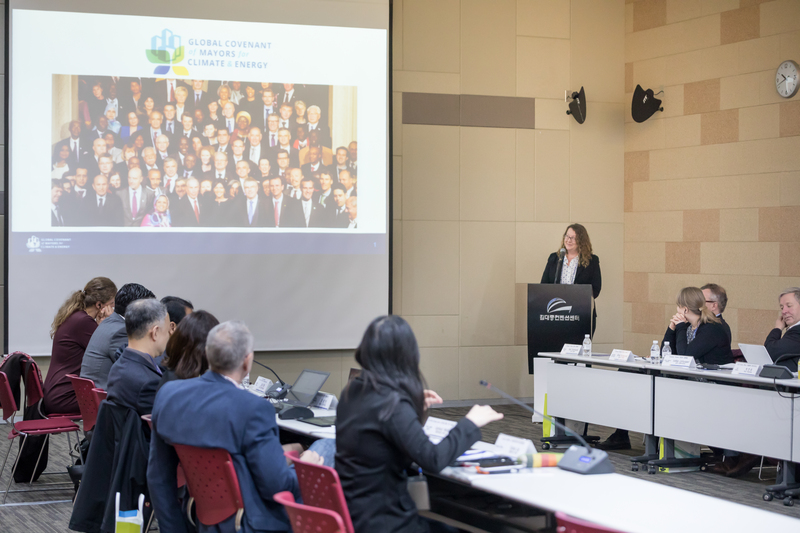 Shannon McDaniel, Director of Data Strategy, Global Covenant of Mayors for Climate & Energy, introduced the Global Covenant of Mayors in Asia. She explained how cities can join the Global Covenant of Mayors and informed how cities can report their data on GHG reduction. 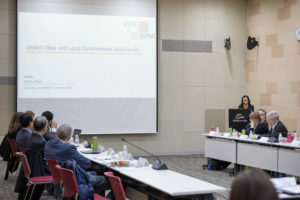 Sang In Kang, KEI, gave the presentation “Climate Change and Actions in Korea: National Targets and Local Implementation Plans”. 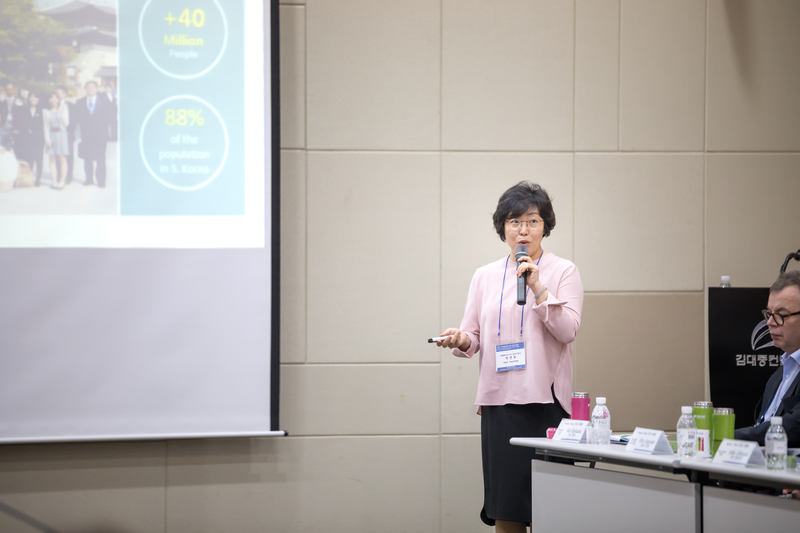 The presentation summarized Korea’s goals and efforts on climate action on the national and local level. Furthermore, Dr. Kang gave a few examples for Korean cities that take low carbon action. 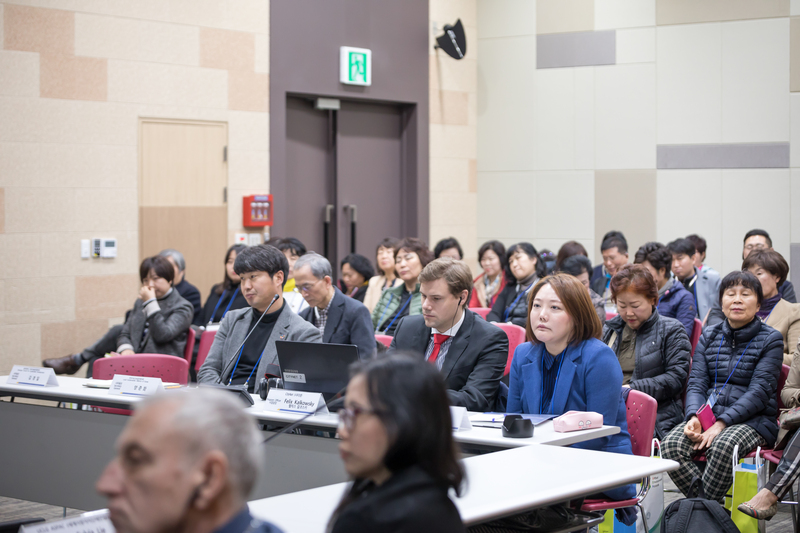 Adaptation: health, food and water security; livelihoods of people and communities; ecosystems; infrastructure and built environment. 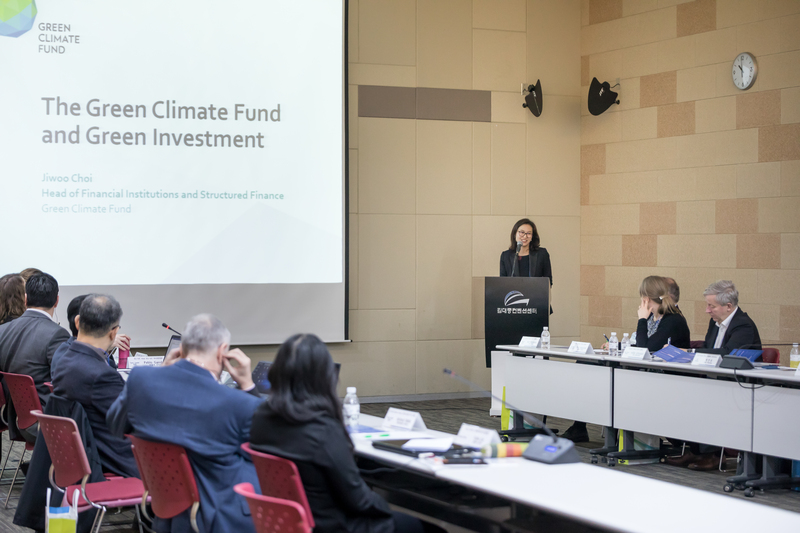 Ms. Choi have a few examples of the GCF’s private sector projects. Dr. Kari Kankaala, Director City Development, City of Tampere gave the presentation “Integrated Urban Policy Development Strategy”. 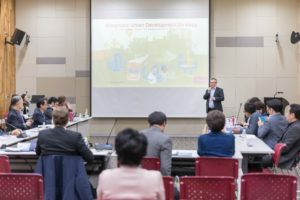 Dr. Kankaala introduced the City of Tampere and explained how the city is responding to change in various fields such as housing, mobility, work, lifestyle, energy and economy. The presentation summarized the key aspects of Tampere’s Integrated Urban Development Strategy. 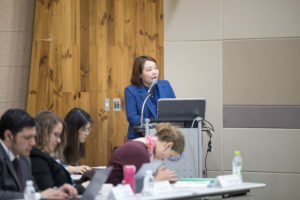 Elina Seppanen, City of Tampere, presented “Sustainable Energy and Climate Action Plan (SECAP) and Climate Action in Tampere”. 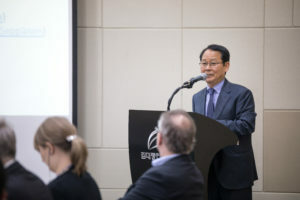 Tampere is part of the Covenant of Mayors since 2009 and set ambitions goals to reduce the city’s GHG. Ms. Seppanen presented Tampere’s climate action road map that addresses key sectors such as energy, mobility, housing and consumption. 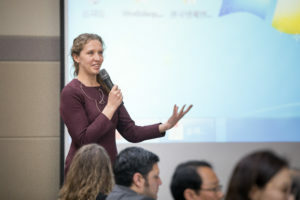 In addition she gave a few examples of projects that support the implementation of the city’s GHG reduction goals. 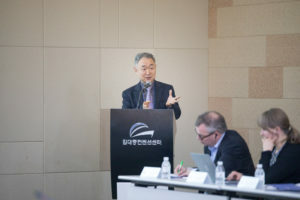 Jeong Yeop Baik, Gwangju, presented Gwangju’s Climate Action Plan. 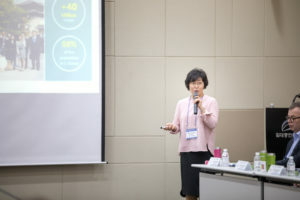 The presentation described the current GHG emissions and scenarios and initiatives such as Cool Gwangju and green mobility. One workshop session was conducted via web-streaming. EU’s Joint Research Center gave the presentation “Development of targets and scenarios for CO2 emissions” that introduced an excel tool that can support city officials in measuring and monitoring CO2 emissions. 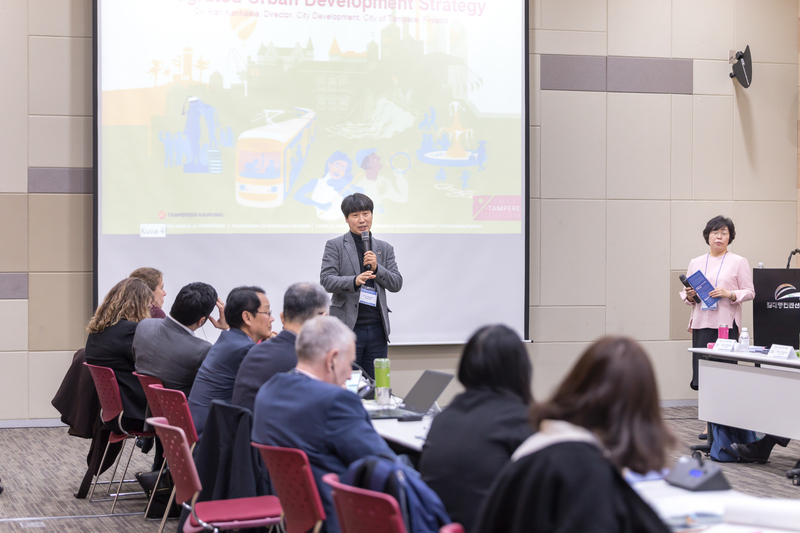 In an interactive workshop session participant discussed what actions cities can take to decrease greenhouse gas emissions in various sectors such as transport, waste and water management. 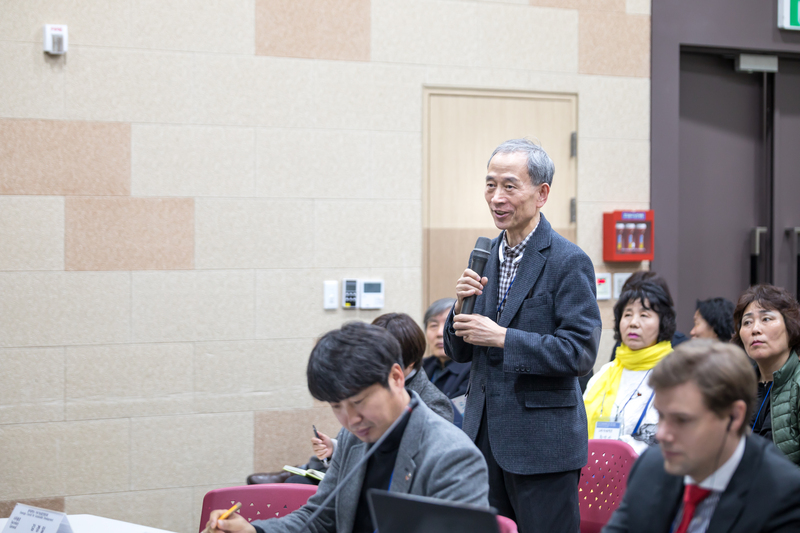 Participants shared how they and their cities or organizations take low carbon action. In addition to the mentioned sectors it was also emphasized that sustainable lifestyle and the consumption of climate-friendly products can play an important role in tackling the impacts of climate change on the local level. 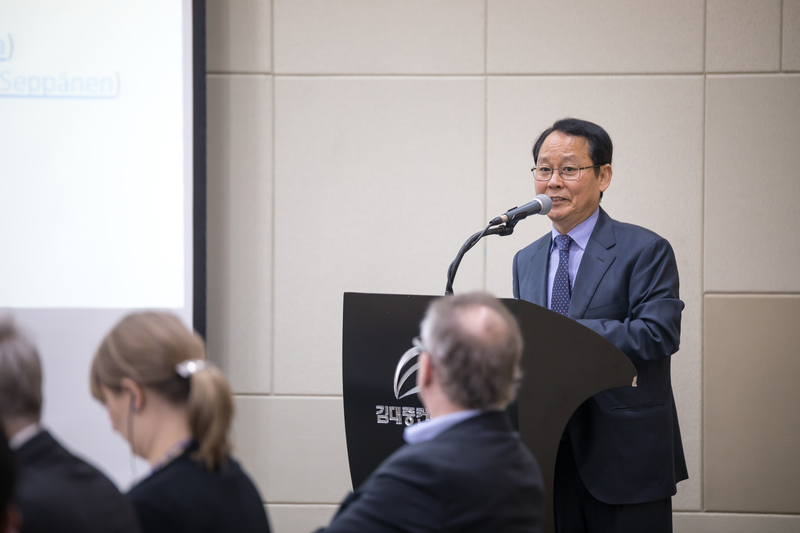 Sustainable consumption: Tampere is expanding its ‘city farms’ and vertical farming in urban factories. Sustainable consumption is also promoted in Vienna, in the name of ‘eco-buy’ project. 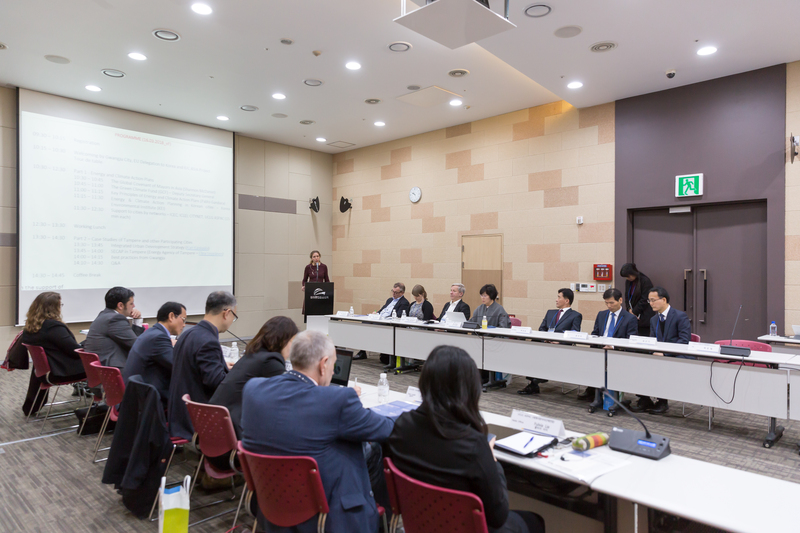 Korea’s climate action and objectives are likely to be strengthened with the new government. 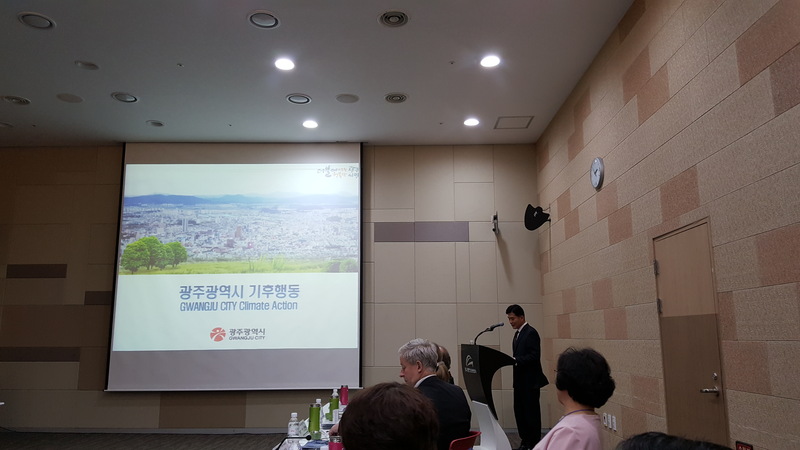 Gwangju’s use of renewable energy is low at 5% but its objective has increased to 20%. This change in objective is crucial given that the new government will not build any more nuclear power plants and that the nuclear power plant in the Gwangju region will close in the future.